Philips oneblade pro qp6520 is powered by rechargeable Lithium-ion battery. This battery will provide 90 minutes of cordless use with per hour of charge. This machine is able to cut, trim or edge any length of hair. There are 14 hair length settings for 14 different looks. The One Blade is not too close like the traditional blade. This machine is for universal use because the charger can adapt 100volt – 240volt. 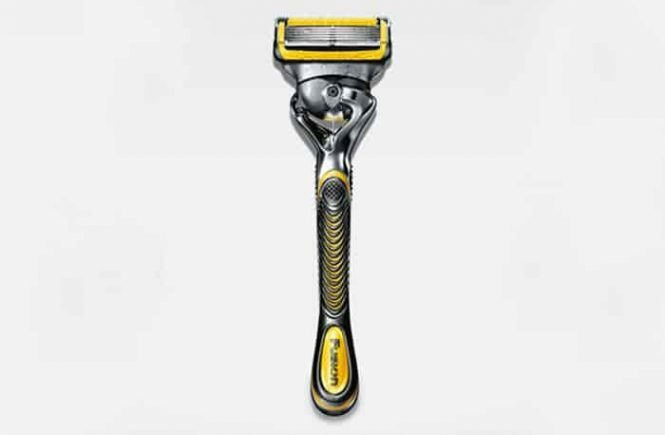 You have to replace the blade once in 4 months (it will depend if you do 2 full shaves per week). Philips oneblade pro qp6520 comes with a durable blade than Phillips other one blade models. The blade will provide you a fully comfortable shave and it is not like a traditional blade. You won’t feel any types of skin problems like- irritations, hassle after the shave. This machine is fully waterproof and it is both for wet and dry use. You can use shaving gel, cream, soap for a refreshing wet shave. Even you can use it under the shower. Being water resistant, cleaning is so easy. Just hold the machine under the running water for a thorough clean. Philips oneblade pro qp6520 is powered by lithium-ion rechargeable battery. This battery will provide 90 minutes of running juice with per hour of charge. 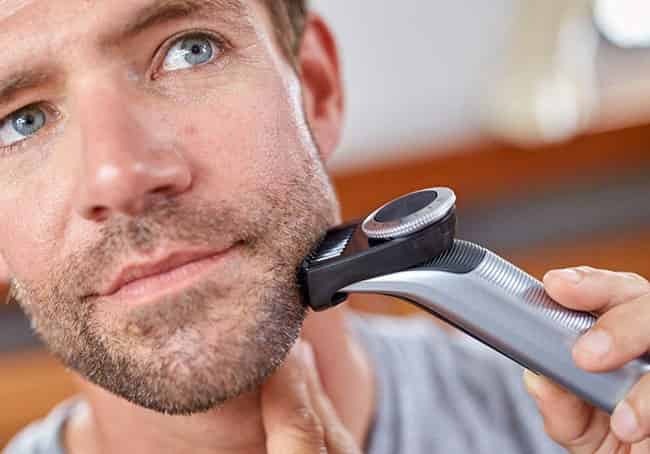 The Philips oneblade pro qp6520 trimmer and shaver can follow every contour of your face and provide you an efficient and comfortable shave and trim in every use. 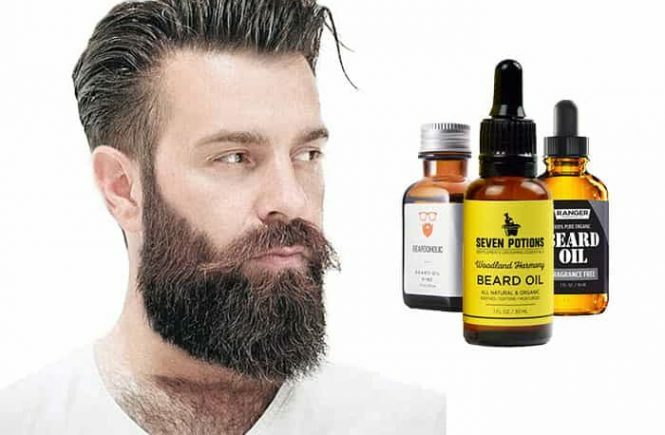 Operate the machine against the growing of your facial hair and shave off any length of hair. Since the blade is not too close, you won’t feel any type of skin problems. There is an adjustable precision comb with this package. There are 14 hair length settings in this comb. To trim your beard adjust the trimming comb then choose your desired hair length setting. To get a perfect edge, use the dual-sided blade. You have to shave in either direction to get great visibility. It is also suitable for sensitive areas. Phillips Norelco North America Corporation provides their all product 2 years of warranty. Within 2 years if your machine (only handle) becomes damaged or useless for any workmanship problems, Phillips Norelco will repair or replace your product without charge. This warranty does not cover if your product damages for misuse/abuse, accident. To get all services of Norelco, immediately register your product after buying. Phillips Norelco will provide you 45 days risk-free trial. After buying this product, if you are not fully satisfied with it, you can return it and Phillips Norelco will provide your full money back. But you have to back it just within 45 days, otherwise, this service won’t work. Philips oneblade pro qp6520 electric trimmer and shaver is a combination of black and blade silver color. This feature provides the machine an attractive look. The handle is made with ergonomic grip while Norelco used plastic in their another (OneBlade shaver and trimmer). In the handle, there is an LED display. This display will provide the battery status. When the battery is low when the battery is fully charged and travel lock indicator. The travel lock will prevent your machine from accidentally turn ON if you are going to store it for a longer period or in traveling. The contour following technology works for both shaving system and trimming system. This feature will allow you to shave or trim any area of your face. There are a charging stand comes with this package. You can charge this machine in 2 ways – with the charging stand and with the charger. You can use this trimmer and shaver wet and dry. There is no restriction on wet use. But never use it corded. The trimming comb comes with 14 hair length setting and the comb feels very sturdy. Just choose your desired length and create a unique look. I’m very happy with its built quality and based on the built quality, I will provide 4.8 out of 5. This OneBlade model comes with an excellent battery life. 90 minutes running time per hour of charge is really superb. The full size LED display will always provide you the battery percentage. When the battery is almost empty, the indicator will flash orange. When you charge the machine, the indicator will flash white. 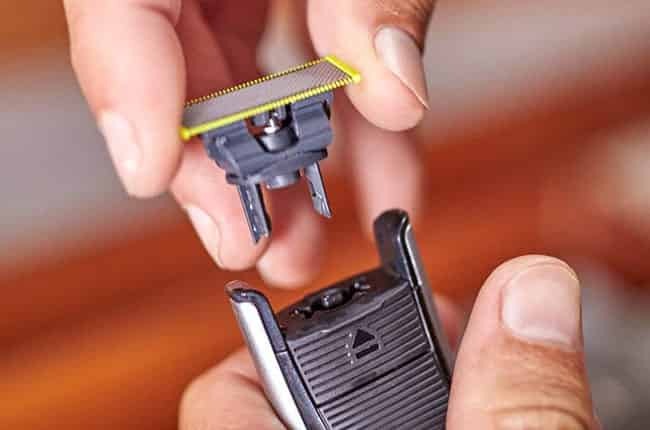 There is also a quick charge option – after almost 5-minute charging, the battery will provide enough juice for one trim or shave. When the battery is fully charged, the indicator will constantly flash and the battery percentage will show 100%. There are 2-way charging system in this device. Be certain the machine is switched off. Insert the small plug in the machine and then put the power plug in the outlet. After fully charged, remove the small plug from the machine and then remove the power plug from the wall outlet. Insert the small plug into the charging stand and then put the power plug into the wall outlet. Now put the machine in the charging stand. Important – always check the machine and its instruments before using. If any part remains damaged, don’t use it without replacement or repairing. This trimming and shaving machine is only for facial hair and use it only cordless. Trimming will be easier when you will operate in dry skin and hair than wet. Before using, always check the trimming comb and the blade. For hygienic reasons, use it personally. To trim, shave or edge only use on your facial hair (beard, mustache, sideburns). Press the ON/OFF button once to turn the machine ON/OFF. Be certain the machine fully contacts with your skin. Do not need to use the comb. To get the best shaving result, operate the machine against the hair grow. And move it flat against your skin. 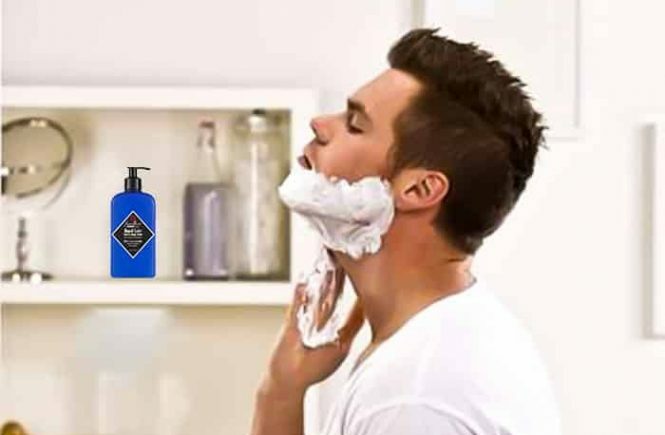 You can use shaving gel, foam, and soap for a refreshing wet shave. After every shave, clean the machine thoroughly. Turn On the machine, use both sides of the machine to make a sharp edging line. Hold the machine in such way as if the blade is erect to the skin as well as one of its sides touches your skin. Then operate the machine with gentle pressure. It will also provide you with more precise detailing of sideburns. You can also move it around the mouth and nose. After edging, turn off the machine and clean it thoroughly. The precision trimming attachment will provide you 14 different hair length settings. When you will use the machine for the 1st time, start at the highest hair length setting to habituate yourself. The settings are started from 0.4mm (1/32inch.) to 10mm (13/32 inch.). When you will trim your beard, be certain the flat part of the comb fully contacts with your skin. All the hairs do not grow in the same direction. So, you have to operate the comb in different trimming positions like – upwards, downwards or across. Trimming will be easier in dry skin and beard than wet. Position the front side of the comb onto the blade and then push the projection at the back of the comb into the machine (‘click’). Turn the hair length setting wheel to choose the desired length. After length settings, turn ON the machine. Position the comb onto your skin and operate it upwards, slowly against the hair grow. Turn off the machine and clean it after every use. The Philips oneblade pro qp6520 comes with a travel lock system. This feature will prevent your machine from accidentally turning ON. #How to activate the Travel lock? 1st, you have to press the ON/OFF button for 3 seconds then the travel lock mark lights up and that time the LED display will countdown. When the travel lock will activate, the travel lock mark flashes. #How to deactivate the Travel lock? Activating and deactivating is same – press the ON/OFF button for 3 seconds then the LED will count down. The Travel lock mark lights up and turns off. Now the machine is ready for work. Note – when you will connect the machine with the electrical outlet, the machine will be unlocked automatically. Clean the machine after every use. Don’t use any kind of rubbing pads, abrasive cleaning stuff or aggressive liquids like – gasoline, acetone to clean the machine. Before cleaning, be certain the machine is switched off. Then remove the trimming comb from the machine. Clean the blade and comb thoroughly and blow off any hairs that have been accumulated on them. Rinse the machine with warm water and briefly ON the machine. Then rinse the trimming comb and blade with warm water. Shake off them to remove excess water. Let all the parts air dry. Note: the blade is brittle so you have to handle it carefully. Don’t use cloth or tissue to dry the handle and attachments. 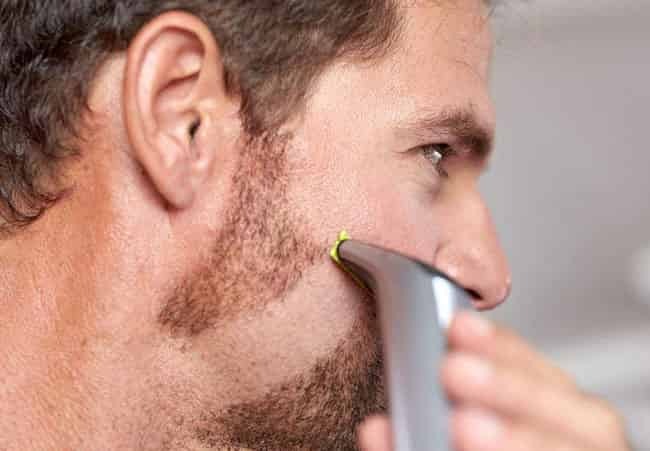 To get an optimal cutting and gliding performance, you have to replace the blade once in 4 months; otherwise, you won’t get the shaving or trimming result which you want. Again, the exact lifetime of the blade will depend on usage, how many times you use it in a week. You need to replace the blade before or after than 4 Months. 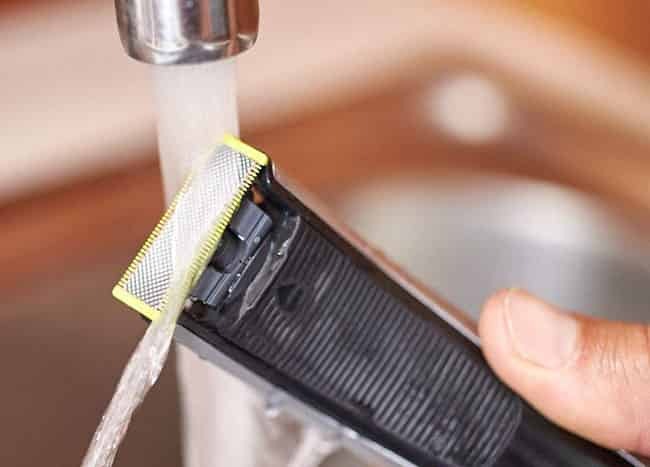 If you don’t replace the blade, it will become blunt over time and for that, it will minimize the cutting performance and increase the hair pulling. Always buy the replacement part from the Amazon provided by Philips Norelco. #How to replace the blade? 1stly, be certain the machine is switched off. Then gently push the blade to remove and slide switch upwards while holding the blade on every side. It will restrain the blade from flying away. Now, hold the new blade on 2 sides and press it onto the machine (handle). You will hear a (‘click’) sound. Now your machine is ready for use. Don’t use another attachment which does not come with this package. Never use the machine with plugged in. Don’t charge the machine with damaged power cord. Never use the machine without replacement if the comb or blade becomes damaged. Keep the machine and all its parts which come in this model at heated surfaces. Don’t touch the power cord if your hand is wet. Only use this machine for human facial hair. Only charge the machine with the power cord or stand which comes with this package. Honestly, I am really happy with the performance of Phillips oneblade pro QP6520 electric shaver and trimmer. Remember, there is no shaver Brand who can make a perfect product and which can fulfill your all desire. The Norelco One Blade QP6520/70 is one of the best electric shaving and trimming machine in One Blade Models. I just want to say, if the price range of this model meets your budget, try it once. After the use, if you are not fully satisfied, you can return it within 45 days and Norelco will back your full money.